Should Silverdale WA become Incorporated? This is the fourth such attempt to wrestle Silverdale from the controlling clutches of Kitsap County. What benefits would we realize as a result of incorporation? What effects would it have on the local economy and businesses? How much would our taxes increase? Perhaps one of the best things this political action committee ‘Citizens United for Silverdale‘ could do is put up a website detailing as much information as possible on the benefits incorporation normally brings to a community like Silverdale WA. Even creating a Facebook Page would be a great step towards engaging members of our community and sharing helpful information about incorporation. What are Your thoughts? Should Silverdale be incorporated? Why or why not? Writing a guest column in this morning’s issue of the Central Kitsap Reporter, Bremerton WA resident Tamara Gordy offers up her rationale for registering a ‘No’ vote on the current CKSD Capital Projects Levy. (Ms. Gordy had previously submitted a similar Letter to the Editor for the Kitsap Sun). For a number of reasons, I’ve been following this proposed levy very closely. I am a resident/homeowner in Central Kitsap; all of my kids have attended Central Kitsap schools (my youngest son Luke is a junior at CK High); and my wife is a teacher at Brownsville Elementary. So obviously, the health and vitality of our local school district is of major concern to me and my family. And, as such, I am always interested and intrigued with the arguments that local residents offer in opposition to the proposed CKSD Capital Projects Levy. Times are tough, and I can greatly respect/appreciate the fact that people aren’t overly enthusiastic about having more of their hard-earned money taken away, even if it’s for a worthy expense, like public school facilities. However, in her letter, Tamara Gordy states that, even though she has supported school levies in the past and believes that healthy schools are an investment in our community, the reason she is voting ‘No’ on this Capital Projects Levy is because the Kitsap County Elections Division decided not to mail a printed voter’s guide along with the ballot. So, if I understand her correctly, the reason Ms. Gordy wants to deny our kids a safe and healthy classroom environment is because the County failed to provide a printed Voter’s Guide pamphlet along with her mailed ballot? Excuse me? You want to disapprove badly needed repairs and improvements to our local classrooms because of something the County did or didn’t do? You want to jeopardize $31 million dollars of Federal matching funds because you didn’t get a Voter’s Guide? Really? I don’t know about you, but I rarely vest much of my voting prerogative based on what I read in the Kitsap County Voter’s Guide. Don’t get me wrong. I appreciate that the County puts it together for the general election. But the ballot issues are normally more complex and can’t be easily explained/presented in a short paragraph or two. Fortunately, the school district has done an admirable job of providing very detailed information on the Capital Projects Levy and presents a very compelling and prudent case for supporting it’s approval. Whether or not the County should have provided a printed Voter’s Guide along with the mailed ballots is up for debate. But to penalize the safety and welfare of our students and teachers as a result is nothing short of ridiculous. That seems to be the prudent advice and sentiment being offered by many longtime residents of Central Kitsap County as the day (February 8th) quickly approaches for area voters to approve or disapprove the proposed Central Kitsap School District Capital Projects Levy. Both the Kitsap Sun and Central Kitsap Reporter have voiced their support in passage of the levy. CKSD Superintendent Greg Lynch and his capable staff have done a truly exceptional job of providing a very detailed and transparent analysis on their Capital Projects Levy Website, ensuring that the voting public can make intelligent, informed decisions. As a local Central Kitsap resident/homeowner myself, I can certainly empathize with the fact that our current economic conditions makes such levy proposals difficult to swallow. Most of us are finding it increasingly challenging to make ends meet and desperately want to hold onto as much of our hard earned money as possible. But the facts of this levy proposal should make our response overwhelming obvious. We simply cannot ignore the prudent investment of a small portion of our tax dollars now, or else face the consequences of paying out a much larger amount down the road. Ballots for this levy proposition have already been mailed out and every vote matters! Please join me in supporting our kids and the continuation of quality education in Central Kitsap by voting ‘YES!’ on the CKSD Capital Projects Levy on February 8th. Do you have children between the ages of 7 and 18 home for winter break? Consider sending them to Camp CSTOCK Winter Break Camp from December 27 through 31! Your child will learn all aspects of theatre performance art – character, set design, blocking, costuming – while learning and performing “The Fantastic Mr. Fox.” The program is from 9am until 5pm, Monday through Friday. Cost is $100. 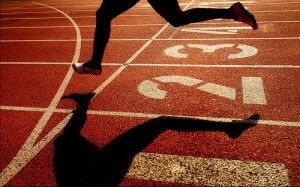 Could your son be the next Jesse Owens or Bruce Jenner? Or your daughter follow in the footsteps of Jackie Joyner-Kersee? The 2010 CKSD Summer Youth Track & Field Camp being held this Summer just might be the place for them to explore and discover their budding athletic abilities. Or simply enjoy a week of fun with their friends! In person at the CSKD Community Schools Office, Jenne Wright Admin Center, 9210 Silverdale Way NW, Silverdale, Monday through Friday, 9am to 4pm. For more information, call (360) 662-1638. Commissioner Josh Brown Caught Red-Handed! Last Wednesday, I had the pleasure of attending the Silverdale Chamber of Commerce President’s Luncheon at The Silverdale Beach Hotel. Chamber Executive Director Michael Broome and his capable staff have been doing an amazing job lately of generating tremendous excitement, support, and success for the Chamber organization. Kitsap County Commissioner, Josh Brown, was the keynote speaker, and he provided a brief overview of some of the projects he has personally been involved in that directly impact Central Kitsap. So many times our elected officials are in a rather thankless situation and bear the brunt of endless criticism. Just for a change, I thought I would ‘catch’ Josh Brown red-handed, and praise him for doing something right! 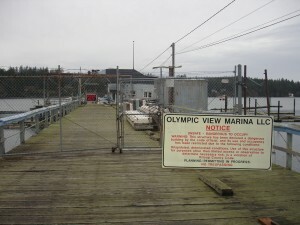 As an avid crabbing enthusiast and boater, I am deeply indebted to Josh Brown’s dogged determination and efforts in saving the Olympic View Marina (formerly Seabeck) project from a near deathly demise. 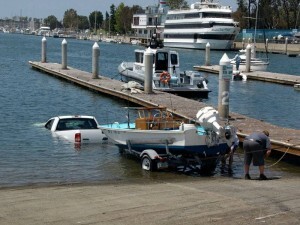 All of the environmental hoop-jumping is finally over, permits issued, and work is underway. 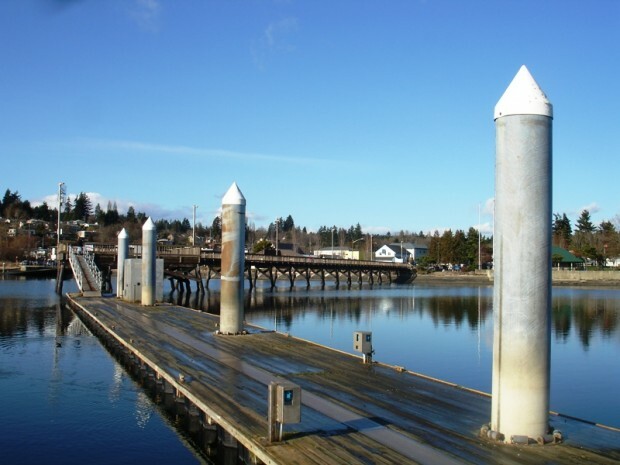 The Kitsap County side of Hood Canal will at long last have a first-class protected harbor and full-service marina facility with mooring. 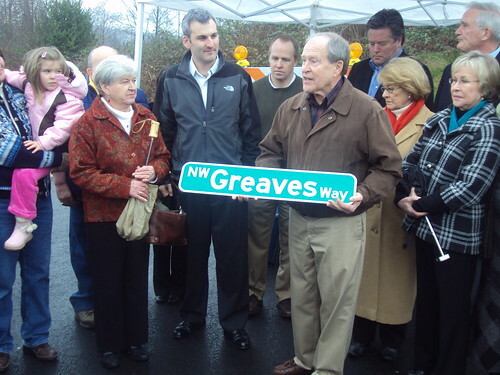 As a Silverdale WA resident living on the west side of Hwy 3, the newly opened Greaves Way offers much needed relief to the congestion along Anderson Hill Road and allows easier access to North Silverdale, Kitsap Mall, and Waaga Way. Additionally, it opens up access to 400+ acres of prime commercial development area. Josh Brown played in integral part in getting this project funded and successfully completed, one of the first major road expansions for Central Kitsap in over a decade. Lastly, Josh Brown has been instrumental in making the long-delayed vision of a Central Kitsap Community Campus a reality by partnering with the YMCA of Pierce & Kitsap Counties, and along with the very generous contributions of the Ross and Hasslewood Families. In the upcoming election, Josh Brown deserves our support and our vote for another term of leadership to ensure the continued course of valued progress for the residents of Central Kitsap. Well, it used to be Two Buck Chuck, but with the recent economic downturn and Wall Street debacle, prices had to be adjusted accordingly. 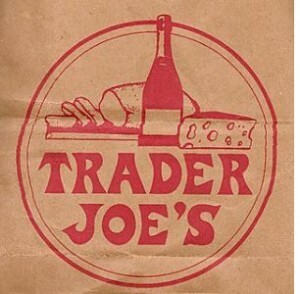 But yes, Virginia, Trader Joe’s, the quirky specialty retail grocery chain with stores in nine states, is FINALLY coming to Silverdale WA! Rumor has it that the recently vacated Circuit City location will be the home for Kitsap County’s long-awaited Trader Joe’s. Trader Joe’s is the exclusive retailer of Charles Shaw wine, lovingly referred to as Two Buck Chuck because of its $1.99 price tag in California. In other States, it sells for around $3 a bottle due to varying state liquor taxes and transportation costs. In a recent blog post, Kitsap Sun reporter Brynn Grimley stated that her sources denied any pending plans for a Trader Joes in Kitsap County and projected at least a couple years before any possibility of a store here would occur. UPDATE: Brynn Grimley kindly provided a link below to a more recent blog post where TJ officials were recently observed evaluating potential sites here in Silverdale. Directed by local students Billy Buhl, Cherisse Martinelli, and Jessica Rothwell, the CSTOCK Black Box production of “Songs For A New World” features teens and young adults ages 13-20. The cast of Young Adults includes Cory Hudson, Zander Martin, Ryan McLaughlin, Colton Myers, Matthew Usher, Katharine Beddoe, Julie Fedorko, Chelsea Natseway, Jessica Nelson, Melissa Shafer, Allison Verhofstadt, Amy Whelan, and Rebecca Young. Jason Robert Brown (composer-lyricist of the critical smash “Parade” and ‘The Last 5 Years”) has had the whole theatre community talking about his blend of savvy showmanship and exciting contemporary sound for years, starting with this revue. Brown transports his audience from the deck of a 1492 Spanish sailing ship to a ledge 57 stories above Fifth Avenue to meet a startling array of characters ranging from a young man who has determined that basket-ball is his ticket out of the ghetto to a woman whose dream of marrying rich nabs her the man of her dreams and a soulless marriage. These are the stories and characters of today, the songs for a new world. For more show information and tickets, GO HERE. CSTOCK Live Community Theater in Kitsap County WA has a rich and longstanding tradition for producing shows that appeal to family audiences. So it’s not surprising to discover that many of the shows performed by CSTOCK in their theater at the Silverdale Community Center are comprised of cast members which contain entire families. Such is the case with the recent popular run of CSTOCK’s ‘Music Man,’ the well-known Meredith Wilson hit musical of how ‘Trouble’ comes to a small Midwest town in Iowa in the form of a pool table and a musical instrument peddling flim-flam man named Harold Hill. An hour before curtain, the ‘Green Room’ (otherwise known as the Poplar Room) is a flurry of pre-show activity. The Beddoe Family (consisting of Dad Dave, Mom Deb, and children Katharine, Calvin, George, and Henry) are busily applying make-up and doing last minute hair touch-up. George is the lone non-acting hold-out, simply content to watch his family perform and consume his fair share of cast refreshments. Henry is the show scene stealer and obvious choice for ‘Most Adorable Actor’ when he struts out on stage towards the end of the show, wearing his ‘Boy’s Band’ uniform and carrying a snare drum almost as big as he is! The Gray Clan is an equally invested tribe, beginning with Dad Rod who serves on the CSTOCK Board of Directors and lends his vocal/acting skills as one of the four credential-chasing school board quartet members. As one of two Stage Managers, wife Maria keeps the production flowing smoothly each night as she skillfully coordinates nearly 50 cast members and navigates the hard-working stage crew through a myriad of challenging set changes. Their daughters Jenny and Kimberly skillfully portray Amaryllis, the wannabe piano player turned lisp lover, and “Ye Gads” spouting Zaneeta Shin, respectively. Additional families include father & son, Bill and Billy Buhl; husband & wife Joe and Sharon Martinelli; brother & sister Caitlyn and Cameron McConnell; husband & wife Bob and Clarice Nash; father & son Cameron and Wallace Ross; mother & daughter Maddie and Palmer Scheutzow; husband & wife Jess and Ann Sveen, and daughter Sarah; father & daughter Al and Alli Verhofstadt; father & son Carrey and Rand Wiseman. It normally begins rather innocently when one member of the family gets bitten by the acting bug. A son or daughter tags along with a friend from school and auditions for a show. Next thing you know, “they’re playing for money in a pinch back suit”…(opps, sorry, just habit!) Then Dad is at the theater on the weekends, helping build sets, and Moms selling refreshments during the performances. A great example of this during Music Man was Raoul and Rebecca Dominguiano, parents of Abigail (Wa Tan Ye girl) who attended nearly every rehearsal and performance, providing valued supervision of the show’s younger performers. No doubt Abigail’s two younger brothers will find their way up on stage in the near future! While not everyone involved in a CSTOCK production is related, by the end of the show everyone certainly feels like one big family. And such is the bittersweet ending to a wonderfully enjoyable and rewarding experience. For two months, you spend nearly 3 hours every weekday in rehearsals with these people. Many weekends you’re either practicing dance steps with the choreographer or building sets. 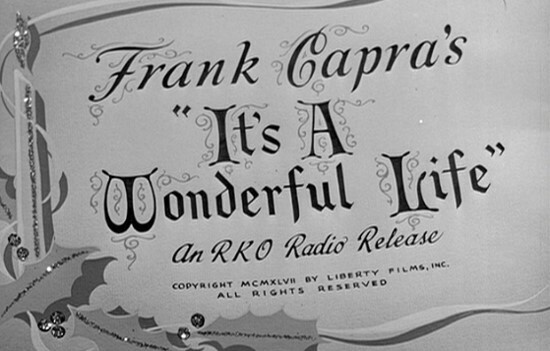 Then a full week of run-through dress rehearsals, followed by opening weekend and 12 performances. You actually end up spending more time with these folks than you do your own ‘real’ family! Then, suddenly, the show is over. The sense of loss and emptiness is pronounced, almost palpable. It feels as though a small piece of your creative heart and soul has been ripped out, joining together to become part of a larger, cherished collective memory. And, like a moth to the flame, you audition for the next show, and start the entire process all over! To be the premier Theatrical Performing Arts Organization in the West Puget Sound. Provide educational opportunities for all ages. Provide a significant positive cultural influence.